The Management of the Obafemi Awolowo University, OAU invites suitably qualified UTME and Direct Entry candidates to its 2018/2019 academic session admission screening exercise. Candidates That Are Eligible for OAU POst UTME/DE Screening. Candidates who made the Obafemi Awolowo University, Ile-Ife their first choice in the 2018 UTME and scored 200 and above, and those who applied for Direct Entry (DE). OAU Admission Screening General Requirements. 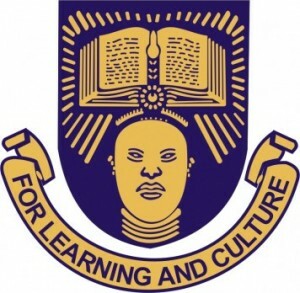 How to Apply for OAU Post UTME Screening Exercise. To commence the on-line screening, candidates are required to log on to University eportal (admissions.oauife.edu.ng) to register for the POST-UTME screening exercise effective from August 6, 2018. The candidates are required to visit admissions.oauife.edu.ng directly and login with their JAMB Registration Number to download RRR (Remita Retrieval Reference) and use it to make payment online or at any commercial bank. Applicants that provide false information, or upload incorrect credentials will automatically be disqualified. The closing date for screening of all candidates UTME/DE is 31st August 2018. Candidates will also be required to participate in the Post-UTME screening on their allotted date and time between 1st and 7th September, 2018. Applicants should note that the screening fee is N2,000. They will however be required to pay appropriate bank charges. All enquiries should be forwarded to admissions@oauife.edu.ng or enquiry@oauife.edu.ng.